Many people chose to do Pilates because they simply enjoy this style of exercise and find that it helps with general fitness, strength and flexibility. People report feeling taller, stronger and more relaxed following a Pilates class. The studio sessions can be tailored to work on your specific requirements, whether that is abdominal or “core” work, a more general workout or in preparation for a skiing holiday! Pilates based exercise is excellent for you if you have reduced general mobility or specific stiffness in a joint or joints. The equipment in our Pilates studio can be set to offer assistance, which in turn makes it easier to perform a movement. Exercises can then be progressed when you are able to do so, to give a graded and paced approach to improving mobility and flexibility. 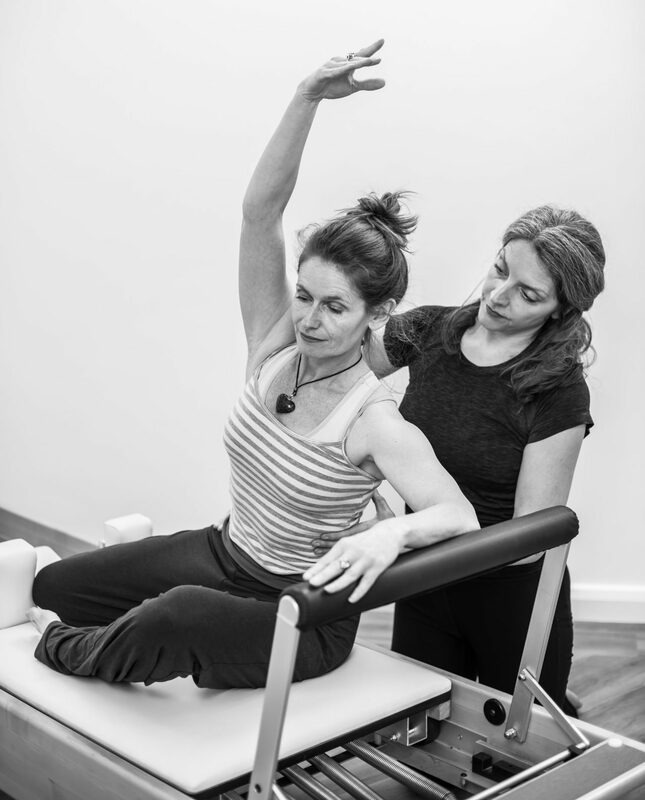 All our studio sessions offer exercises that are bespoke to you and run by physiotherapist Theresa Bell, making them ideal for those who may lack confidence or are unable to exercise in a larger group setting. Mat based classes offer a more global approach to improving strength and mobility. 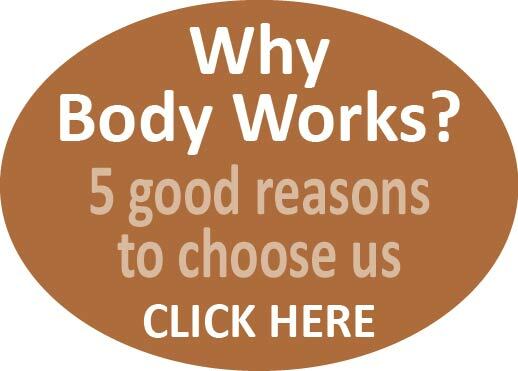 However, if you have a history of back pain and would specifically like to focus on improving spinal health, the “healthy back classes” offer a gentle spinal loosening and strengthening programme. Pilates is playing an increasingly large role in many elite sports, such as tennis, horse riding and golf, with sports men and women finding that it helps to improve performance and decrease injury. If you are a keen sportsperson you may find that Pilates adds balance to your sporting exercise programme. Additionally, the studio classes will allow a bespoke programme to be designed for you to work on specific goals. Within the field of elite dancing, Pilates is virtually synonymous with dance training and rehabilitation. Joseph Pilates worked closely with the New York City Ballet and many of his classical repertoire of exercises reflect this. Although todays exercises have evolved to reflect current Pilates user’s needs, there are a vast array of both mat and equipment based exercises that enhance dancing performance and help dancers return to full function after injury. As Theresa is an ex-professional dancer she is able to work closely with dancers within the studio setting and understands their specific requirements. Pilates is a safe and beneficial way to exercise during pregnancy. Theresa is a certified ante-and post natal Pilates teacher and is passionate about keeping women as strong and healthy as possible during their pregnancies. Back and pelvic problems are more likely to occur during this time due to the postural, hormonal and biomechanical changes that take place. Many mat based exercises are not appropriate during the mid and latter stages of pregnancy so it is recommended that you attend studio classes instead, where the exercises can be hand-picked to suit. There is normally a strong focus on pelvic floor contraction and release, gentle core and postural work, in addition to shoulder and upper back loosening exercise. Pilates is an excellent way to help gently return your body to its pre-pregnancy state. Both the mat and studio classes will be appropriate for you if strengthening and postural work is your main requirement. If you have diastasis recti (abdominal separation) or SPD the studio classes would be more suitable initially. Theresa recommends that if you have any concerns you attend an initial consultation with her before attending a class so that she can assess your specific needs and make recommendations on home exercises or modifications within the class.